KAROUN DAIRIES cheese wide variety of Mediterranean ethnic cheeses and cultured products are prepared in the traditional artisan way from first quality milk. KAROUN DAIRIES is a practitioner of product innovation that relies heavily on benefit segmentation. We enter markets by introducing a new product with a new benefit rather than launching a me-too product. All KAROUN products have different backgrounds. 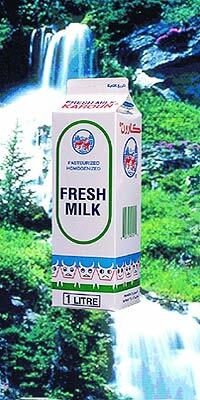 Yogurt Drink Karoun Dairies authentic ayran, Karoun's lassi yogurt drink with live active cultures. Drinking laban produced by a proprietary process. Yogurt with Live Active Cultures. 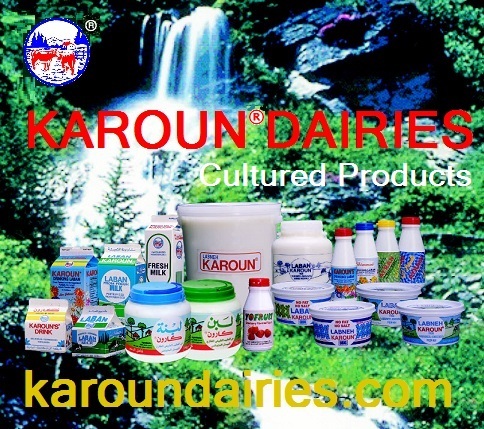 KAROUN DAIRIES - All natural live active yogurt, laban, raeb, madzoun. Karoun labne, Karoun Dairies labneh, authentic strained yogurt cheese with live active cultures. Yofruit® Delicious great strawberry taste KAROUN Yogurt. Karoun Dairies cheese and Karoun cultured products are made with love and passion!